I’m a baker at heart. I love baking cakes, but more than that, I love eating them. Great for the tastebuds, but not so great for the hips. So what to do? So that I can continue to bake, I searched for and developed these healthy baking treats. I don’t believe we should deny ourselves completely. In fact I think our diets are doomed to failure if we do and if you’re like me, you crave a bit of sugar now and then. The trick is to find recipes that are low in fat and sugar. Plus by baking our own cookies and cakes we determine what ingredients go into the making of them. That way we ensure that the ingredients are fresh, healthy and natural without compromising on taste. So how do you successfully produce healthy baked goods? Baking is an art form and more so when you are baking low fat recipes. Normal cake and cookie recipes have high levels of fat and sugar. This is what gives them their taste and texture. Reducing these amounts requires precise techniques for success. Baking is an exact science. Most cake, cookie, muffin and bread recipes follow a specific formula of ingredients such as flour, fats, sugar, eggs and raising agents. If you deviate from the amounts specified, or substitute ingredients, your results may be far from what you expect. If you like experimenting, just expect a few disasters along the way. Always read through the recipe before you begin baking to avoid mistakes. It’s very easy to mis-read instructions when you’re busy. Then assemble your ingredients. It’s too late once you have started, if you suddenly discover you need more flour or sugar. Healthy baking is not like other methods of cooking, where you can throw in a little bit of this or a dash of that. Exact measuring of your ingredients is essential for success. This is particularly true of the main ingredients such as flour, sugar and butter etc. You don’t need to be quite so accurate with ingredients such as dried fruit, nuts or chocolate chips. Never place cakes, cookies or other baked goods into a cold oven. They need that blast of hot air to activate the raising ingredients. Always wait until the preheat light goes off. If your oven isn’t at the correct temperature, they will take longer to cook and you will end up with dried out offerings. Never try to remove hot cakes from their tins, or cookies from their trays. All baked goods need to be allowed to cool, some more than others. 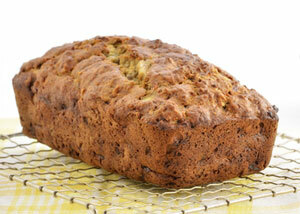 Muffins and quick breads should be removed a few minutes after baking to prevent them sweating. Cookies can be left for about 5 – 10 minutes. Cakes, however, can be left to cool in their tins. Incorrect oven temperature is up there with incorrect measuring of ingredients as the main reason for failure. Get to know your oven and if in doubt, use an oven thermometer to check its accuracy. Then you can adjust the temperature accordingly. Most ovens also have hot spots. If you find that one side of your cakes is cooking faster than the other, turn them halfway through baking. Most recipes have been tested using a particular size pan. If you don’t have that particular size, and use a different one, you will need to adjust the cooking time. Using larger or small size pans changes the depth of the batter and it is this that affects cooking time. Larger pans make the depth shallower so require less cooking time. Smaller pans have the opposite effect, increasing the depth of the batter, and will take longer to cook. When you reduce the fat in healthy baking, you are usually reducing the amount of butter used. When butter is creamed with sugar it aerates the batter and produces a light, fluffy texture in cakes and other baked goods. With reduced amounts of butter, there is less aeration and so it is very easy to overmix the batter. Some fat is necessary in all baking as it provides moisture and gives the cake texture. But healthy baking uses significantly reduced amounts of fat and cakes can dry out much more quickly that those made with full fat. Check for doneness a few minutes before the baking time. The cake should spring back when gently pressed in the center and the edges should be starting to brown and pull away from the pan. Off course most baking recipes still use a small amount of sugar. Sugar is an essential ingredient in baking and is difficult to eliminate completely. Most recipes simply won’t work without it. 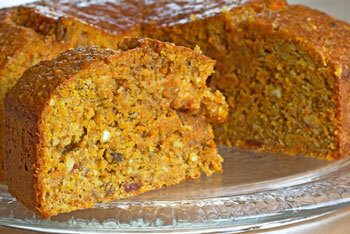 It adds texture and color and increases the shelf life of your cakes and cookies. But it is possible to reduce the amount of sugar. Most of our recipes will contain a small amount of sugar, but we have attempted to reduce the overall amount. Use fruit purees to add moisture and sweetness. Use low fat fruit yogurt or low-fat fromage frais. Fresh fruit can be used to replace refined sugars. Add spices such as cinnamon and nutmeg to increase sweetness. 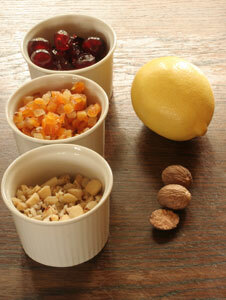 Dried fruits such as sultanas, raisins, apricots or dates are a natural sweetener. By using foods that contain natural sugars rather than refined sugars, you are also getting other valuable nutrients. Fat is what makes most baked goods so unhealthy as they usually contain large amounts of butter, milk, cream cheese or chocolate. But it is possible to reduce the amount of fat in your cakes and cookies, although like sugar, you won’t be able to eliminate it completely. Some fat is needed to achieve the color, taste and texture you expect from bakery items. Of course there is more to healthy baking than simply reducing fat and sugar. Adding other healthy ingredients increases the fiber content, reduces cholesterol and boosts nutrition. Remember too that frostings and icings contain high amounts of sugar. So if you smother your cakes and cookies with rich buttercream and frostings then it's not really healthy at all is it? Choose cakes that don’t need to be iced. Leave the rich chocolate cakes for special occasions.